Enjoy direct saltwater access from this magical waterside compound perfect for your active family. Pack up the boat for a cruise to the Orleans-only side of Nauset Beach. Launch kayaks from the backyard to explore some of the best paddling on Cape Cod. Views galore up and down the Cove across to Fort Hill and Nauset Harbor and out the Atlantic Ocean. Fantastic entertaining home with 5000 air-conditioned sq. ft. Wide open living, dining, kitchen, and bar flow easily to the pool, patios, decks, and the private grounds. Generous master suite with renovated bath and dressing room. Private office. 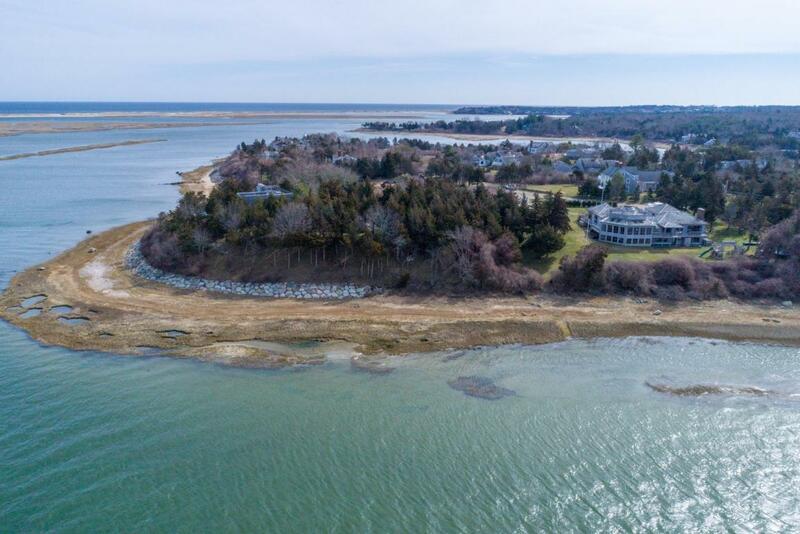 Fabulous privacy on a rolling 1.38 acres where gorgeous sunsets give way to mesmerizing starlit skies and the winking beacon of Nauset Light. Proven rental income property at $19,000 per week. Directions to Property: Main St. to Tonset Rd. to left on Freeman Ln. House is on the left.